Right now I’m incredibly thankful for Forza 6’s rewind feature. I’ve been trying to figure out how to negotiate a puddle that spans the entire width of Sebring International Raceway at turn nine. You’ll know it when you see it. There’s no way around it, but no matter which angle of attack I choose, my 2016 Volkswagen Golf R is sent spinning off into the wet grass over and over again. It sounds frustrating, but I’m actually having a blast trying to figure it out. Finally, I manage to emerge facing vaguely in the right direction and continue trying to keep my all-wheel-drive hot-hatch on the wet Florida tarmac. I’ve emerged on the other side of a weekend filled with delivery pizza, Funyuns and virtual race binging, having played through much of Forza 6, Turn 10 Studio’s most recent entry in what has become the flagship sim-racing franchise for Microsoft’s Xbox and the second Forza game to be released for the Xbox One. 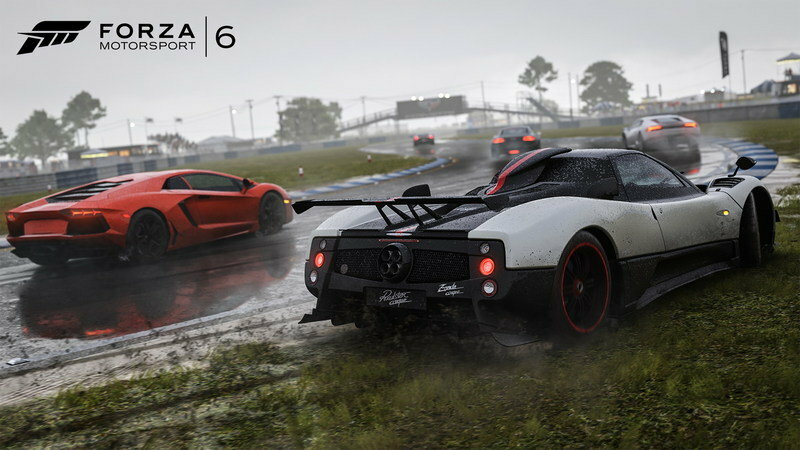 Its predecessor, Forza 5, was a solid and polished racing game, but was fairly light on tracks, cars and other content — somewhat understandable considering it launched simultaneously with the Xbox One, which probably limited its production timeline. But with over 450 cars and countless track configurations in 26 different locations, Forza 6 is real return to form for the franchise. New features, including 24-car races, a new mods system, a ‘spin’ rewards system, feature events and night and wet-weather racing, further add to the experience. And it’s all delivered at a smooth 60 frames per second in stunning 1080p resolution. 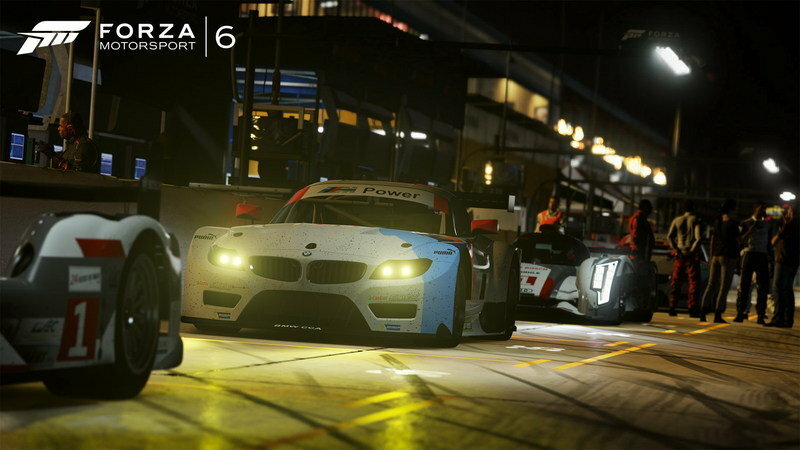 Continue reading for my full review of Forza 6. 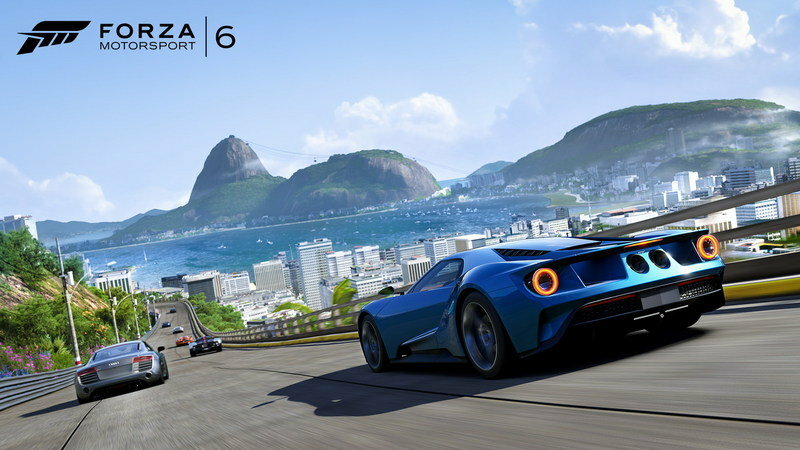 As soon as you fire up Forza 6 for the first time, you’re put behind the wheel of the game’s cover car, the 2017 Ford GT, on the new Rio De Janeiro street circuit. This quick tutorial walks you through the games basic controls, and because all the assists are on, it’s not quite as intimidating as it might seem. After that, you’re taken to a quick three-race series, the first of which is at Lime Rock Park, a track that’s new to the series and also an absolute blast to drive. As you progress through your career, you’ll be awarded with random mods that can be activated in any of three slots before a race. This series is also where you’ll be introduced to the new mod feature. As you progress through your career, you’ll be awarded with random mods that can be activated in any of three slots before a race. They’re broken up into three categories: Crew, Dare and Boost. Crew mods can be used as may times as you like to improve your car’s attributes, like grip, braking or acceleration. Dare mods can also be used multiple times, but make things more difficult in exchange for an increased payout. The only one I used “dared” me to do entire races using only the bumper cam (I prefer the case cam), with no HUD, but I was glad when the race ended; the return on investment didn’t really seem worth it. Lastly, Boost mods can only be used once, but they increase the number of credits and experience points awarded. I mostly ignored mods, but I’ll probably explore them further the more I play. Curiously, the career path is much more linear than in the last game. The Stories of Motorsport section is divided into five ‘volumes’ of three series each, and each must be completed before the next it unlocked. Each series can be completed using six different car types: hot-hatches, GT racers, track-day cars, etc., so there are actually 90 different series, and these can be done in any order once all volumes are completed. In Forza 5, races and special events, like Top Gear Bowling and Autocross, were integrated into a single career mode, but for Forza 6 they’re in a separate Showcases category. This is also where you’ll find the excellent Moments in Motorsports, which recreates famous scenarios like Ford vs. Ferrari at Le Mans and Hunt vs. Lauda in 1970s Formula 1 cars. Great fun for students of motorsport history. Endurance racing is a welcome returning feature. I haven’t done all of these, but most of these seem to be abbreviated versions of real-world endurance races like the 24 Hours of Le Mans, 12 Hours of Sebring and Petit Le Mans. While Forza 5 was fairly stingy with credits and prize cars (a more cynical person might suggest this was done to drive real-money micro-transactions), Forza 6’s economy is much more generous. Each time you accumulate enough experience points to get to a new level, you’re given the opportunity to spin. Spins are a random rewards system, and pay out new cars, game credits and mod packs. The surprise results really add to the sense of anticipation and encourage continued play. My first few alone yielded a McLaren P1, Audi R18 e-tron quattro and Koenigsegg Agera. The huge 24-car fields really add to the racing. As long as you set the Drivatar difficulty appropriately to your level of expertise (or the number of beers you’ve had), you’ll always find yourself working through the field. In case you sat out for Forza 5, Drivatars’s are Forza-speak for AI opponents that use cloud data from real players to shape their driving styles. Unfortunately, Drivatars are also just as overly aggressive as they were in Forza 5. It’s nearly impossible to get through a race without incurring damage of some kind. Tracks with tight first turns are particularly bad. You pretty much have to decide between dive bombing half the field down the inside or braking early and risking getting rear-ended by the other half of the field. Things start to settle down once the race gets going, but some opponents are weirdly erratic and seem completely unaware of their positions relative to other cars. Maniacal Drivatars aside, Forza 6 physics feel spot-on. It could just be me getting more acclimated, but Forza 6 feels slightly more forgiving than Forza 5, and with all the assists off, you can really “feel” the car moving around — a sensation that’s enhanced by the Xbox One controllers’ vibrating triggers, which act as the brake and throttle and keep you up to date on the amount of grip available. The car selection just might be the best I’ve seen in any racing game. It doesn’t have the sheer numbers of Gran Turismo (which notoriously inflates its numbers with 20 different but nearly identical Skylines, MX-5s and NSXs), but there’s some seriously interesting stuff here. There’s an array of modern prototype and GT-class racers, as well modern and classic open-wheel cars from IndyCar and Formula 1. More obscure racing series are covered too with Australian V8 Supercars and Formula E.
Road cars are very well represented too, with everything from hypercars to hot-hatches to classic muscle, but also geeky stuff like the Subaru Brat and 2013 Local Motors Rally Fighter. You probably won’t end up using them much, but it’s nice knowing they’re there. More cars are on the way too. Turn 10 Studios will release downloadable car packs of seven cars each month for the next several months. Lots of the re-playabilty of previous Forza games came with the excellent car customization system. No matter how many hours you put in, you could always find some car you’d never driven or some modification you never thought of. 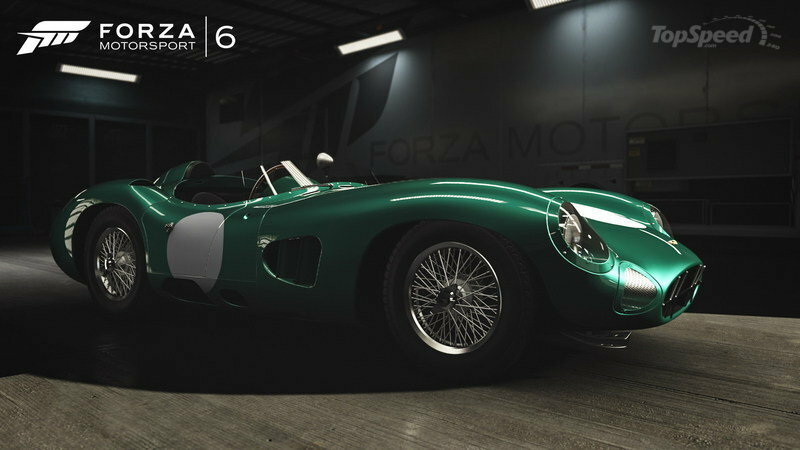 On the surface, Forza 6 doesn’t add much in this regard, but with a livery editor, performance modifications, custom wheels, and drivetrain and engine swaps, the system was already extremely robust. Weather and Day-Night are both fantastic, but unfortunately neither are dynamic, which is disappointing given these are both things Gran Turismo, Project Cars and even the open-world Forza Horizon have done so well. Even so, there’s a lot to like here. 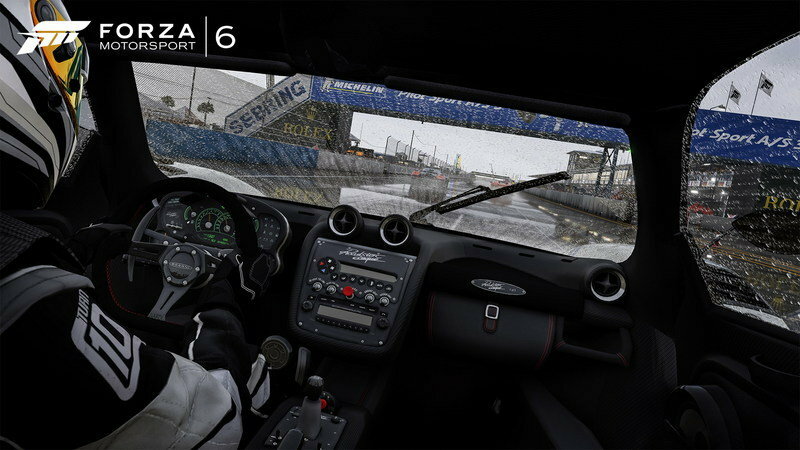 I said it before when writing about the demo, but Forza 6’s wet-weather racing is a revelation. Obviously, overall grip is reduced, but the real fun comes with adjusting your racing line to compensate for puddles that form on the track surface. Some of these can be avoided, but others have to be driven through, forcing you to compensate. Racing at night also reduces grip, due to lower ambient temperatures, but to a much lesser degree. In fact, I barely noticed a difference. Racing in the dark, however, is a ton of fun and looks fantastic. At more well-lit circuits like Yas Marina and the Daytona oval, you hardly need headlights, but you may as well be racing on the dark side of the moon on the more remote parts of the Nürburgring Nordschleife and Le Mans. These dark sections are a pretty accurate representation of the oppressive darkness and headlight tunnel vision that comes with racing at night. 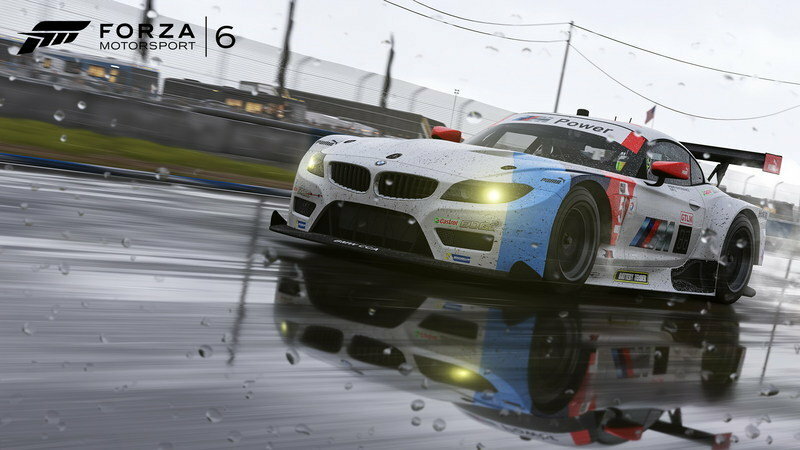 Like cars, you can never have enough tracks, and Forza 6’s track roster doesn’t leave much to be desired. With the exception of Rio and Prague, which are set in real cities, all are based on real-world tracks. Other newcomers include Lime Rock Park, Watkins Glen, Brands Hatch, Daytona, Circuit of the Americas and Monza, but even legacy tracks familiar to long-time Forza fans, like Indianapolis, now include new configurations. Wet weather and night racing aren’t supported in all environments (rain in Abu Dhabi wouldn’t be very realistic, after all), but there’s more than enough variety here to avoid repetition. 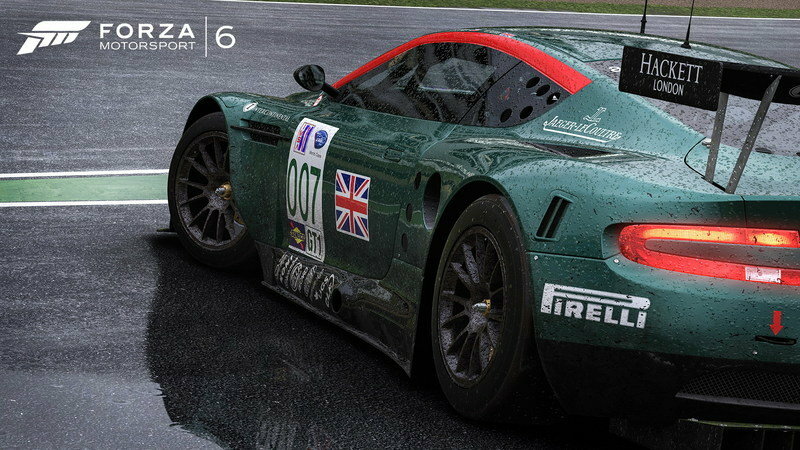 I’ve been a fan of the Forza series since Forza 1, which Microsoft’s marketing material likes to remind me was 10 years ago, and Forza 6 really is the best yet. It’s not perfect. The Drivatar system needs a serious rethink, as I’m not sure the cloud-based opponents are an improvement over the supposedly more rudimentary A.I. in other games. The weather and night racing are nice additions, but they really should be dynamic. Despite these admittedly nit-picky shortcomings, I’m positive I’ll be playing Forza 6 for a very long time, and I’m really looking forward to getting in on some online multiplayer racing when it gets its wider release. See you on the track!